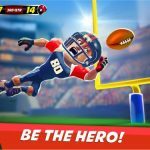 If you’re looking for a casual American football-based game that doesn’t complicate things with any bells and whistles or take up lots of space on your mobile device, you may want to try QB Hero. Ryan Warren’s iOS-only title is simple in its objective, and that’s to hit as many wide receivers as possible as they make their way to the end zone. It’s a back-to-basics game with some classic ‘80s-style graphics, and if you play well enough here, you can unlock new footballs and helmets, as well as unique backgrounds. You can also play in Time Trial mode (where you try to beat the clock), or in Challenge mode, where you play with a limited number of balls. 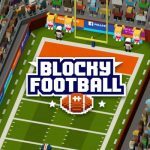 While this game won’t allow you to play as Tom Brady or Peyton Manning, it can certainly allow you to be the titular quarterback hero in a simple, retro-styled environment. 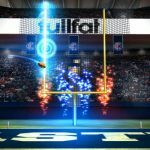 Check out our collection of QB Hero cheats, tips and tricks to help you in the path towards gridiron glory. You need to have the right trajectory when you’re preparing to throw the football. Start pressing at the extreme bottom right corner of your iPhone or iPad’s display. Work your finger upwards, ever so slowly until you’ve escaped the minimum vertical range. This happens when your trajectory line goes from red to white. Letting go as this line turns white will land not too far from the ten-yard line, which many believe is the best way to get consecutive throws right. Making a perfect throw will get you three bonus gems, which are the game’s currency. Perfect throws take place when the ball is right above the wideout’s head and slightly positioned towards their face – as such, you should try to aim your throws in such a way that they land perfectly on top of the wide receiver’s head. While Warren did make a rather casual football-based game, he made sure to include some nice rewards for players, including the aforementioned rewards for a perfect throw. There are also rewards for perfect throw combos – string these throws together, as each consecutive one will give you a multiplier. This will increase the number of gems you can receive for a perfect throw. You may feel a bit too excited to make your throw, but you shouldn’t be trigger-happy when throwing the ball at your wideouts. These wide receivers run at varying speeds, and it’s perfectly random. When you see a receiver running, wait for a second or two to see how fast they are running, and plan your throws based on their speed. Like it is in other super-casual games, the new footballs and helmets do not do anything to your quarterback, except change his appearance. 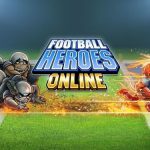 But these cosmetic changes can break the monotony, and you can get more gems to purchase these helmets, footballs, and backgrounds by completing the challenges. Tap on a trophy after a game and you can see which challenges are available – these would traditionally reward you with a considerable number of gems.